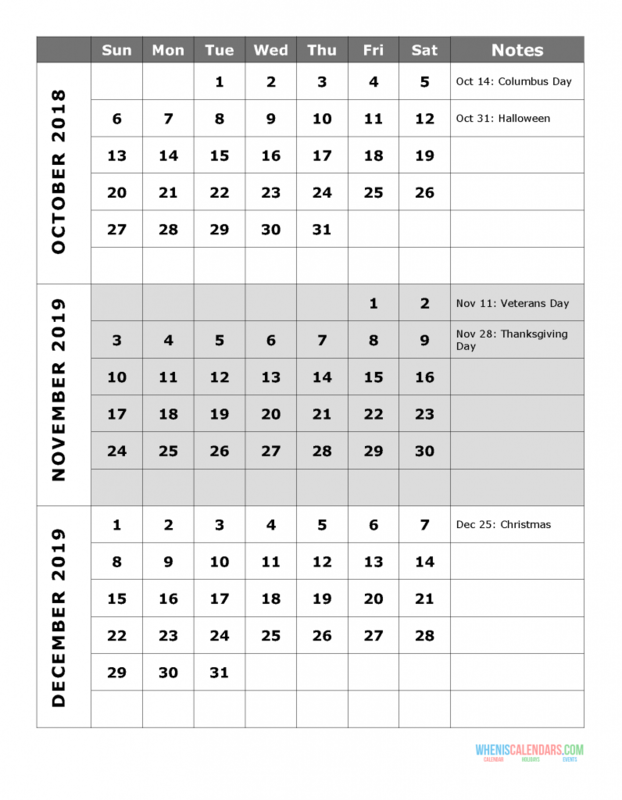 Download free this 2019 Quarterly Calendar Printable – Quarter 4: October, Nobember, December. Simple calendar with large font, clear, easy to view and print. Select file format, click the link to download your Quarter 4 of 2019 quarterly calendar template to your computer.